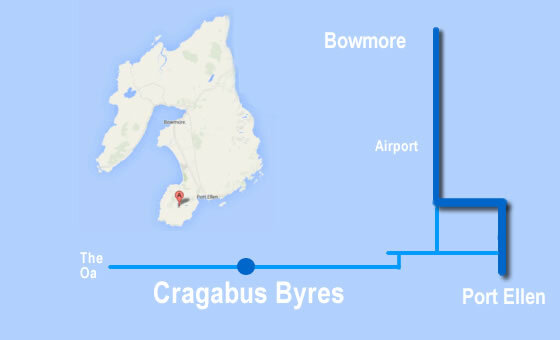 Cragabus Byres are situated amongst the stunning scenery of the Oa region on Islay, two and a half miles from the friendly village of Port Ellen on the southern tip of the island and two and a half miles from the American Monument. Islay is just a plane ride away from Glasgow or, alternatively, a ferry journey from Kennacraig on the Mull of Kintyre peninsula. For many people, Islay offers the ideal holiday destination: lovely, quiet beaches for relaxing and building sand-sculptures or busy whisky tours and drammin’ with the locals; bird-watching in the many habitats around the island or water-sports and wildlife boat trips along the scenic coastal waters; and if you enjoy a festival or two, Islay has many to offer throughout the year from the annual Feis Ile (Festival of Malt and Music) in May to the Book Festival in October. 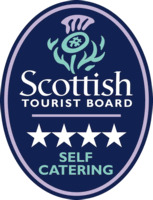 Set on the top of a hill with gorgeous views of the Oa valleys, Cragabus Byres offers self-catering in bright, modern, spacious and cosy accommodation as well as the opportunity both to relax and explore beautiful and peaceful surroundings. With 8 acres of garden to explore, responsible dog owners and well behaved dogs are very welcome. 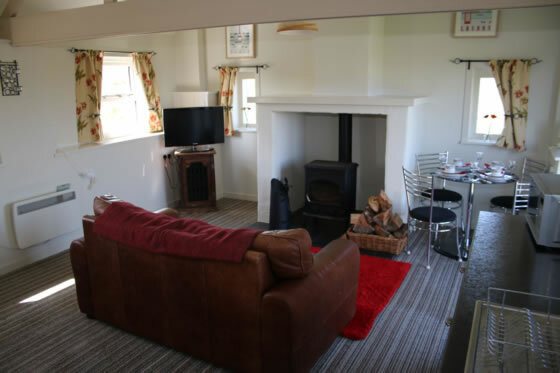 The main Byre for rental, which has been renovated and furnished to a high standard, is situated in the grounds of the old Upper Cragabus Farmhouse and comprises a dining/living area complete with multifuel stove and electric heating, digital t.v. and DVD player, a table which seats four, sofa, fridge-freezer and cooker with hob. Wi-Fi is also available. There is also a bathroom with a shower as well as one large double bedroom with a kingsize bed and a single bed. Linen, towels, logs and electricity are all included in the price. Full terms and conditions will be supplied at time of booking but generally.. Check in from 2pm onwards. Checkout by 10 am on the day of departure. Shorter stays may be available in low season; please email for details. Please contact Craig or Janice for more information.